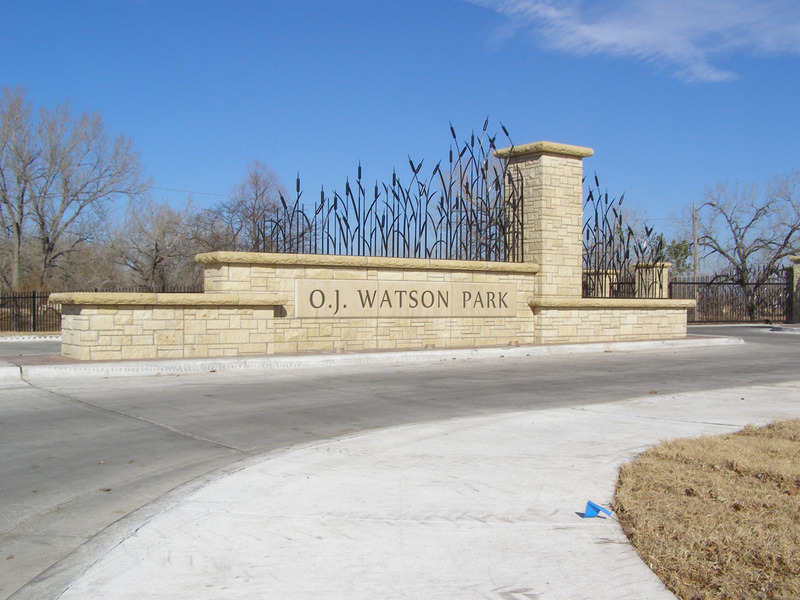 LK Architecture has been involved with several improvement projects to O.J. Watson Park. Watson Park is one of Wichita’s most popular regional parks offering a unique range of recreational activities. 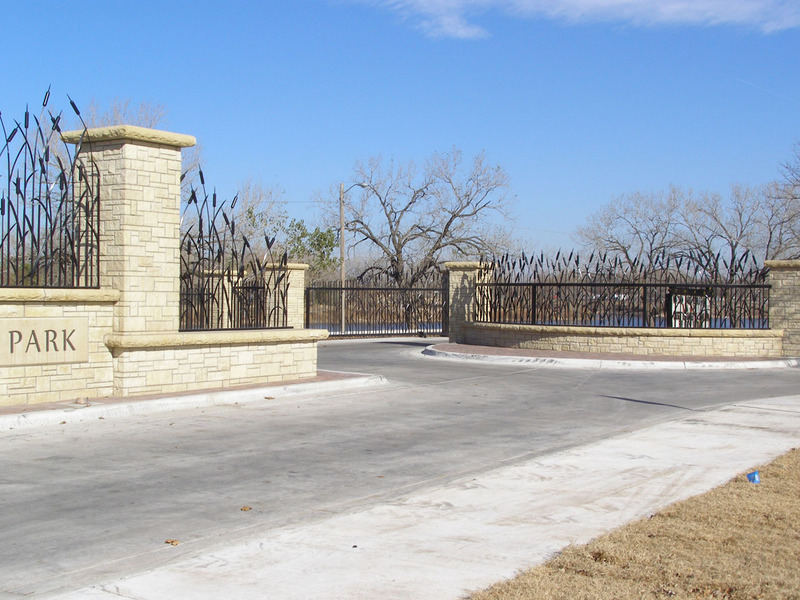 Giving Watson Park a signature entrance from McLean Boulevard was the first of many projects. Capturing the existing identity of this park and creating an entrance that enforces this identity was the primary goal. Other goals included maintaining the security of the park during closed hours. 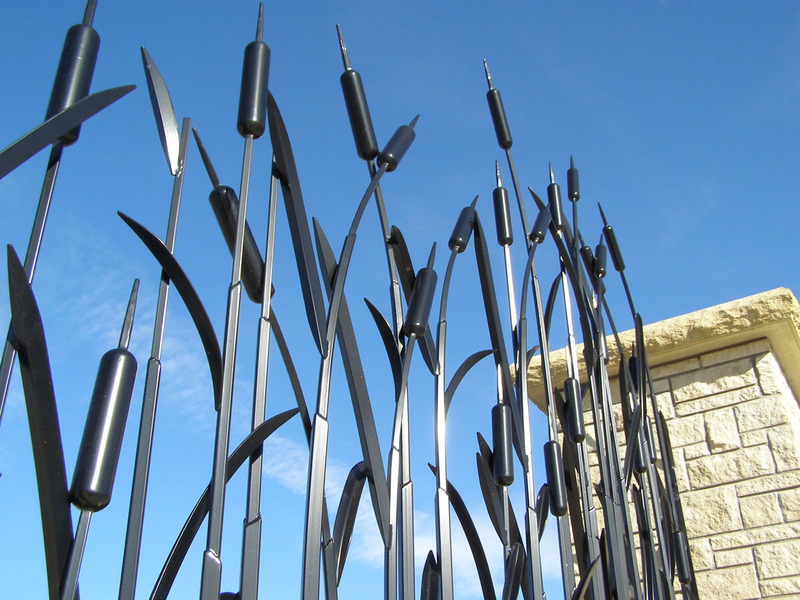 The final design utilized custom cattail gates which transition from ornamental fencing. 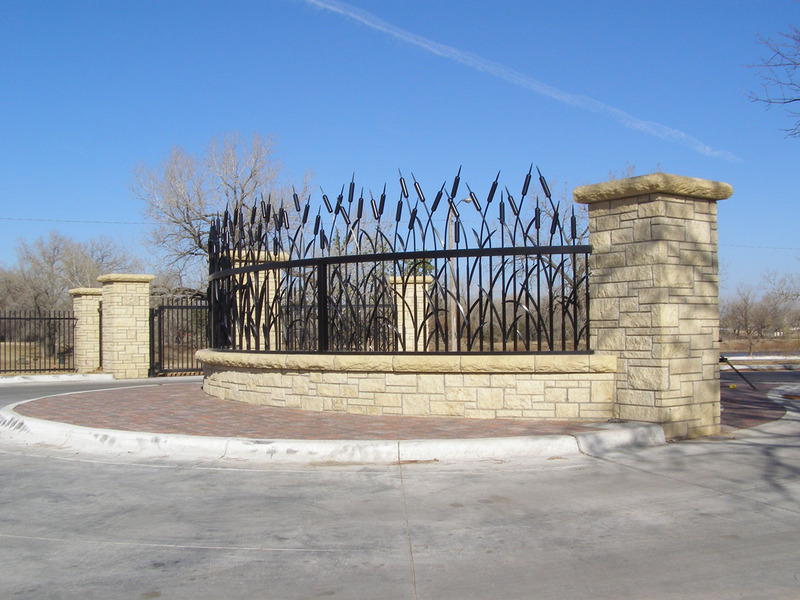 When open, the gates fold between columns, giving the impression that they are fixed ornamental iron work. Materials used for the sign and columns are native silverdale limestone which pay homage to the park’s past as a quarry. One amenity of the park is the scale H.P. Huntington train. LK Architecture, along with our consultants, designed an extension of the railroad to fully encircle the northern pond. 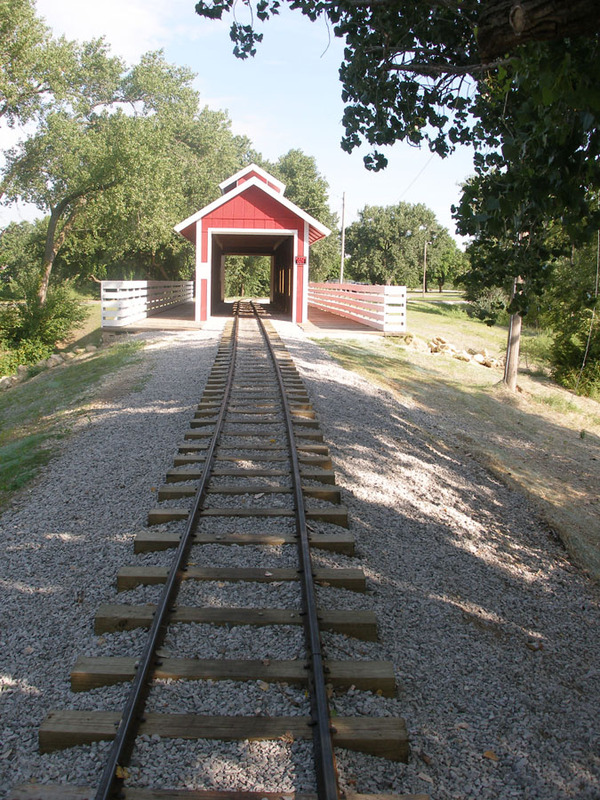 This extension posed the opportunity to create a bridge element between the two ponds and a new train barn. 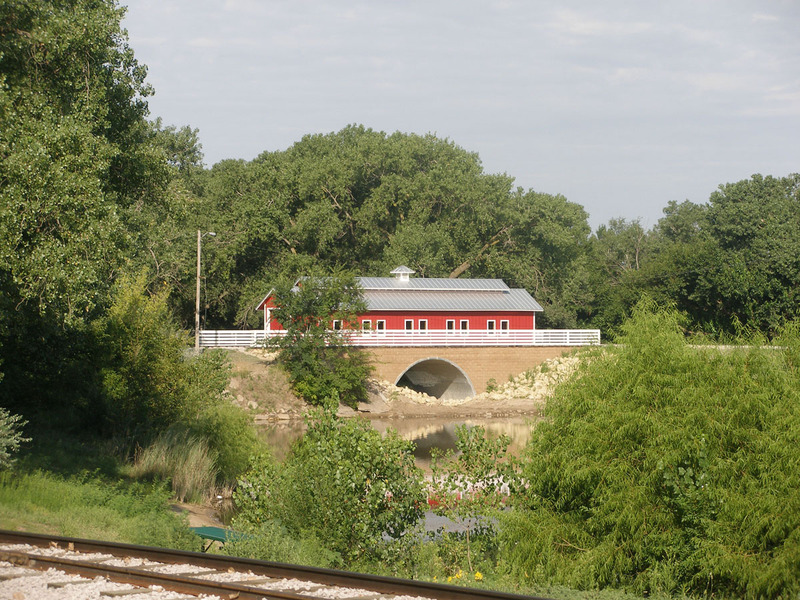 The result was a covered bridge concept which has become iconic to Watson Park. 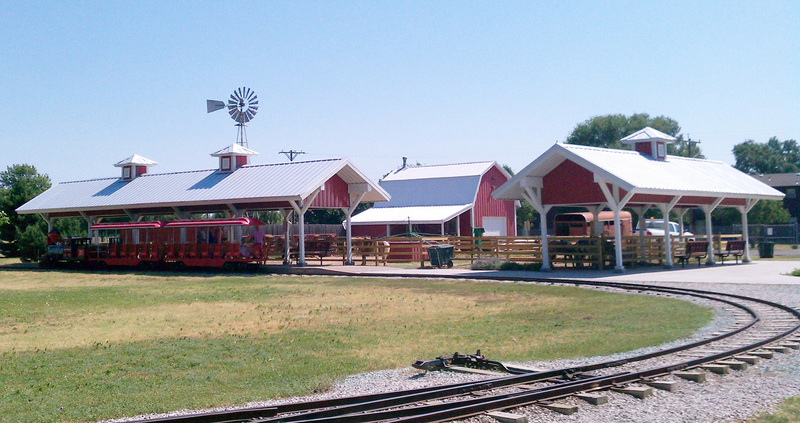 Since these projects, LK Architecture was retained to reconstruct the existing pony ride shelter and train depot. Using the success of the train barn as inspiration, these two structures were redesigned to fit this new vernacular to reinforce the identity of Watson Park through architecture. Additionally, LK has been involved in Americans with Disabilities Act (ADA) transition projects that ensure the park is accessible to all people. This includes modifications to existing restrooms, new concrete paths and a new ADA compliant pedestrian bridge.